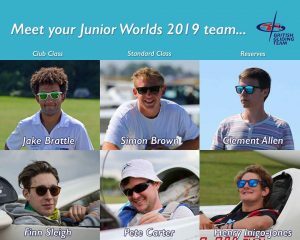 The British Junior Gliding Team are hosting a series of Workshops and Talks of interest to glider pilots of all ages and experience during the early part of 2019 in order to raise funds for Junior Team competition expenses. On Saturday 30 March they will be visiting The Mynd. Current British Team members Jake Brattle, Simon Brown, Peter Carter, Finn Sleigh, Clement Allen and Henry Inigo-Jones will be presenting the programme below. The event is for members of the Midland Gliding Club and neighbouring gliding and flying clubs. There is no charge for entry but those attending are respectfully requested to make a contribution to the British Junior Gliding Team fund. We will need to have an idea of numbers so if you wish to attend, please notify the office which talks and workshops you will attend and if you require an evening meal. This workshop should last approximately 2-3hrs with regular breaks. The Junior Team recommends everyone bring note taking materials. They will have some hand-outs for attendees to complete too. This workshop will last 1 hour. The usual legendary and unsurpassed Mynd Saturday night feast awaits. The evening talk will last approximately 1 hour. All finished by 2100. The Workshops and Talks should be of interest to glider pilots and aviators of any age and experience level.